The Mid Range Package starts at £299 (Ex VAT) for four pages, more pages are of course available on request. 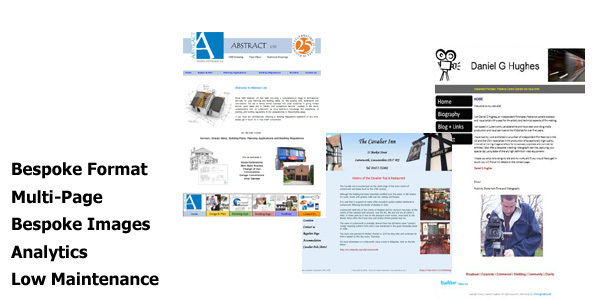 This package also includes registering the domain name and hosting space, building the pages and incorporating your bespoke images either taken by us or from your own photographs. The personal and professional advice and guidance that goes with it will ensure that you get a tailored site that meets your needs.